This year Pam and I feature on the video taken. Watch us at 8mins 45 seconds in and see my wardrobe malfunction. Then again at 44mins 06 seconds in for a further minor wardrobe malfunction on my part. Last night's concert for San Joaquin promised to be something special. Just reading the programme, you knew that we were in for a great treat. 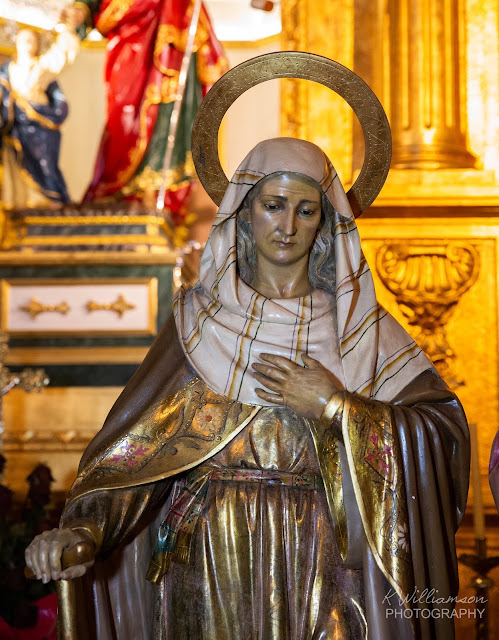 As you may already know, Bigastro and the Cofradia de San Joaquin are celebrating the 225th anniversary of the entrance of the statue of the patron saint to the town. 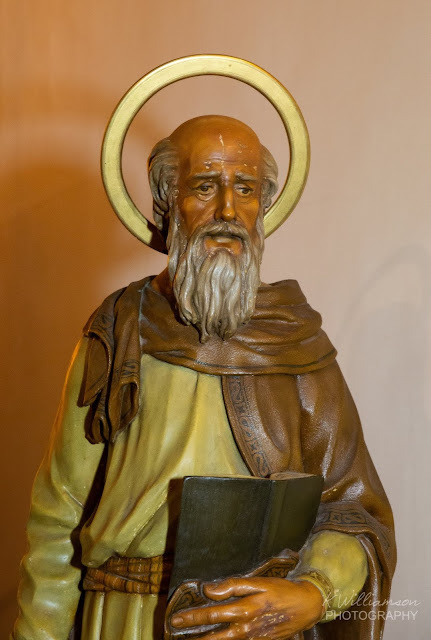 There is a special exhibition of images and documents related to San Joaquin in the church which I will be photographing shortly. In the meantime, let's talk about the concert. The park was the perfect location, it allowed a full audience to attend. The music was simply delightful and the band surpassed themselves with their interpretation of the pieces. Diego and the musicians deserve all the praise that we can give them. 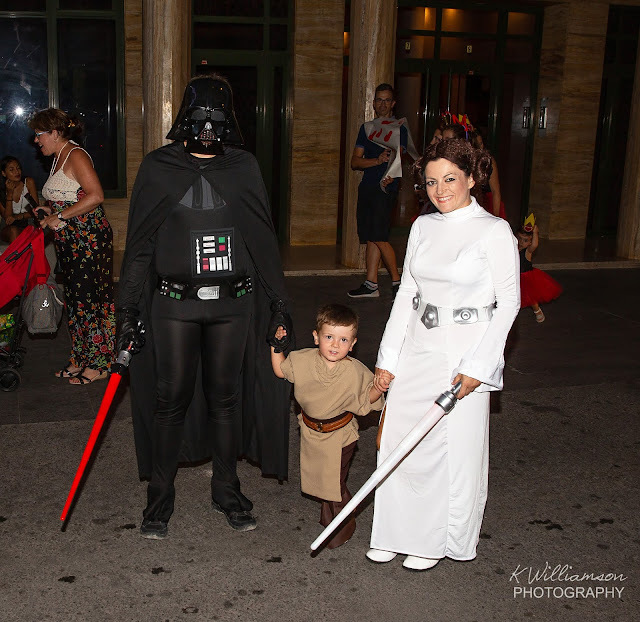 He came as Darth Vader, his wife was Leia Organa and their son, a young Luke Skywalker. When the parade eventually arrived, it was mainly adults accompanying a handful of children. It was all over in the blink of an eye. Even still, we must praise all those who made the effort to take part. The Carrera de Cintas was, as always, great fun. Trying to poke that stick through a small plastic ring whilst riding on a bicycle is tricky to say the least. It helps to be either tall or stand on the carrier at the back.With someone on the carrier you have to have good balance especially when riding at a snail's pace. Last night was the final act for Pam and I as Third Age King and Queen. We were delighted to hand over the mantle to this year's King and Queen and hope they have as wonderful a year as we did. Pam and I are very grateful to the people of Bigastro who have given us such wonderful support. You cheered, applauded, offered congratulations and made us feel very special. 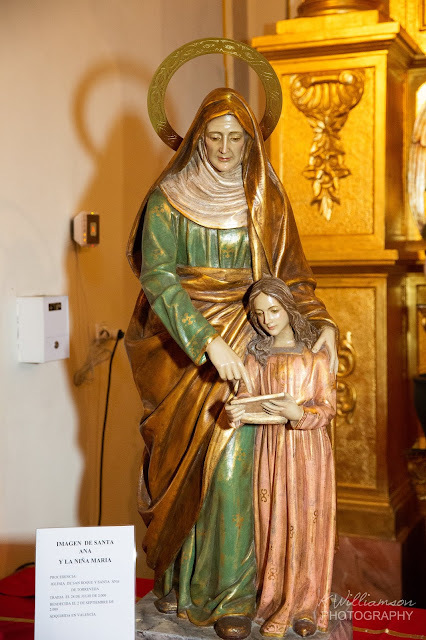 We would also like to thank the Alcaldesa for the kind words she spoke about us during her speech last night. After the ceremony we were pleased to meet up with friends and neighbours for a celebratory drink. 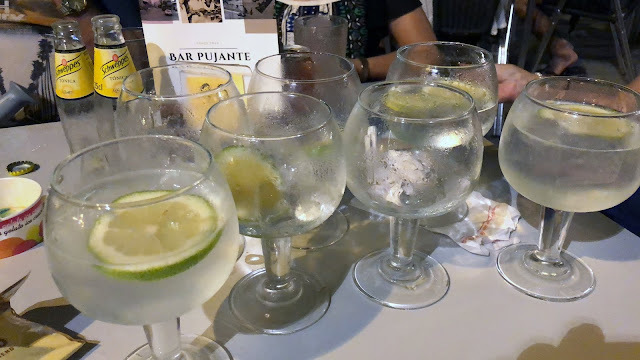 NB Please note, not all those gin and tonics were Pam's and mine! 20:30h Procession of the 2017 outgoing courts, the incoming courts of the Fiestas Patronales 2018, accompanied by the Unión Musical de Bigastro, the local government team and the guest speaker, to the Park Huerta del Cura. At the end of the act of the coronation there will be a Disco. 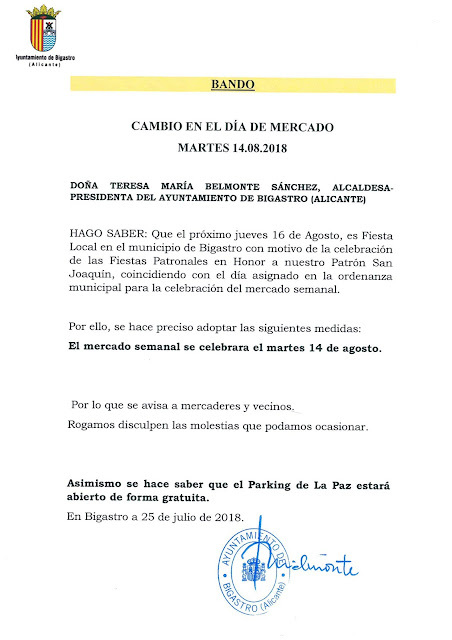 12:00h The uncle of the tractor will tour the streets of the municipality offering refreshments. He will be accompanied by a charanga (an ad hoc band). 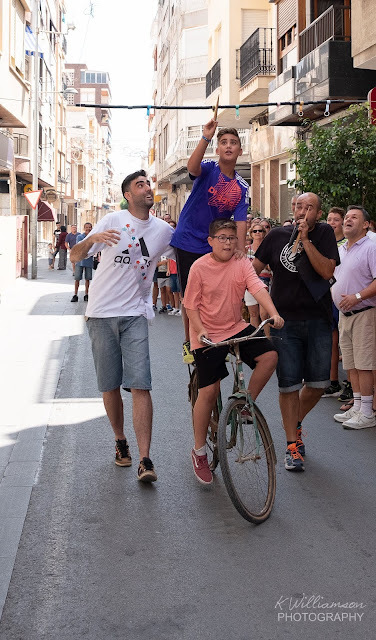 12:00h THE TAPE RACE will take place in Purisima Street. Participate and you could win one of the sashes that the courts have prepared for the occasion. How many sashes will you get? 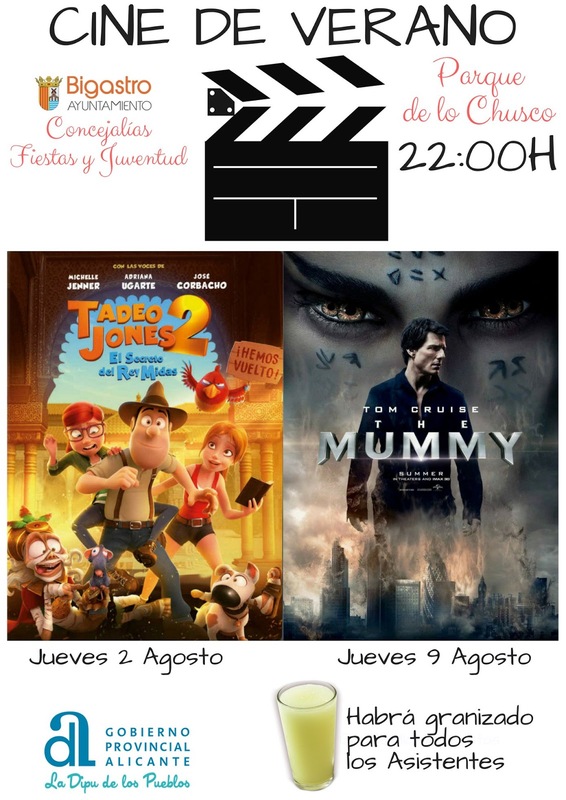 Starting from Barrio Nuevo Street, following its traditional route, adults and children are invited to take part in this multicoloured parade, whose theme this year is MOVIE CHARACTERS. The parade will be presided over by the children's court. 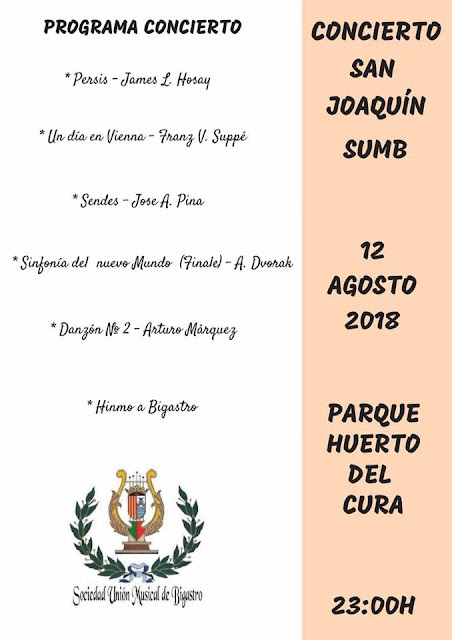 23:00h CONCERT BY THE MUSICAL UNION OF BIGASTRO, in the Huerto del Cura Park. Afterwards there will be a disco. 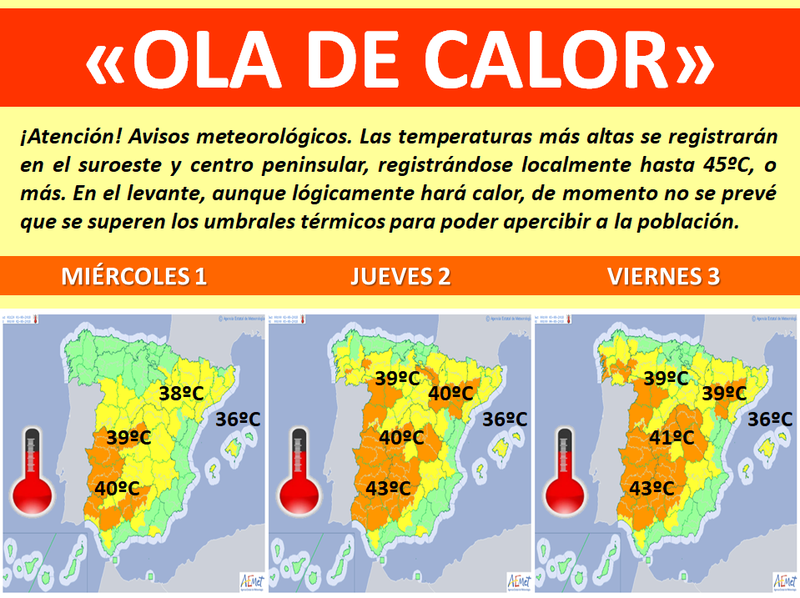 12:00h The uncle of the tractor, accompanied by a brass band, will return to the streets of Bigastro, delivering cold beer. 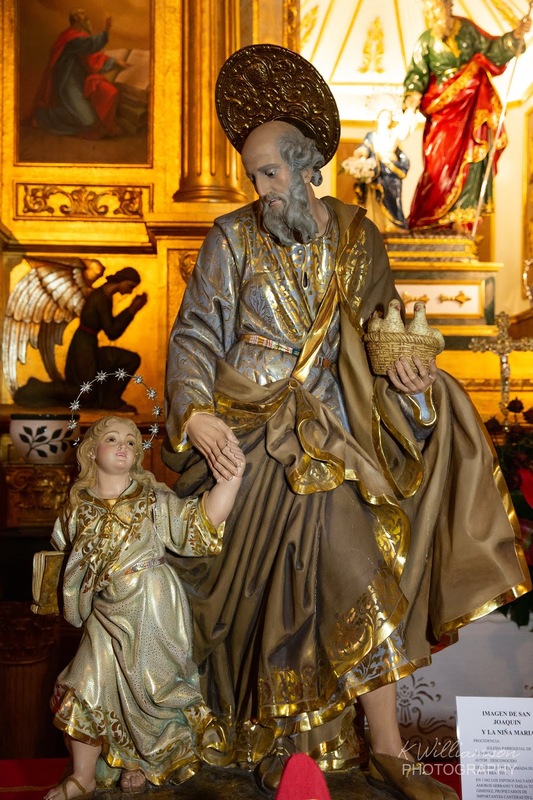 20:30h Presentation parade of comparsas following the traditional route from the Parque de la Cruz. Don't forget to fill a bucket of water or turn on your hose to refresh the comparsistas! 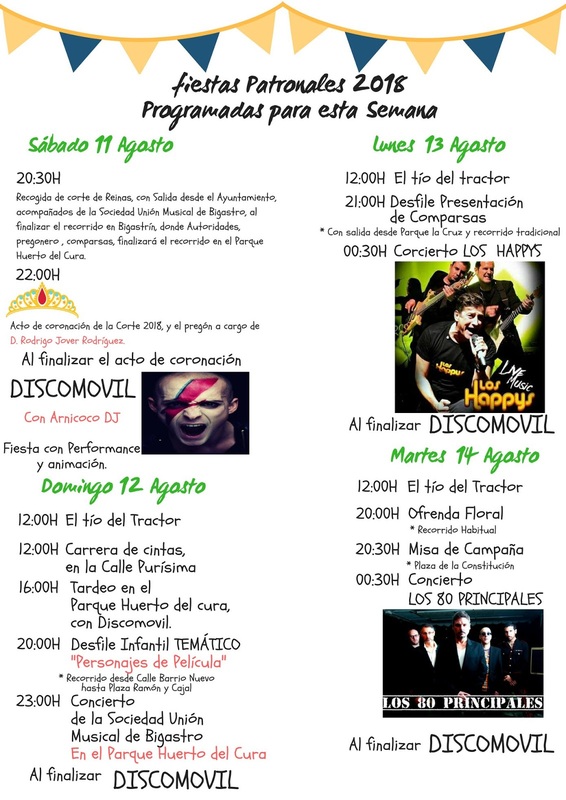 00:30h Concert by LOS HAPPY'S. A group with a great musical repertoire that will remind us of special moments in our lives. Many of their songs we can sing together to make us feel that everything in our lives has been worthwhile. At the end of the concert there will be a disco. 12: 00h The uncle of the tractor will say goodbye to the streets of Bigastro, until next year. 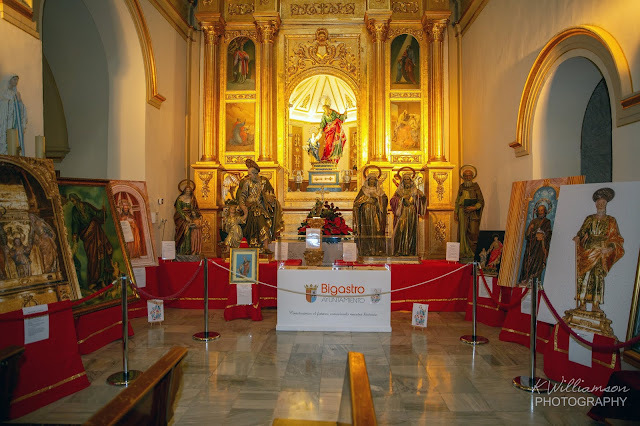 20:00h Floral offering to San Joaquín beginning with the traditional procession accompanied by the Musical Union of Bigastro, local dignatories, comparsas, and neighbours finally arriving at the Plaza de la Constitución where they will offer flowers to San Joaquín. 00:30H Performance by the 80 Principales, in the Huerto del Cura Park. The 80 Principales recall the successes of the golden decade of the 80s both nationally and internationally. 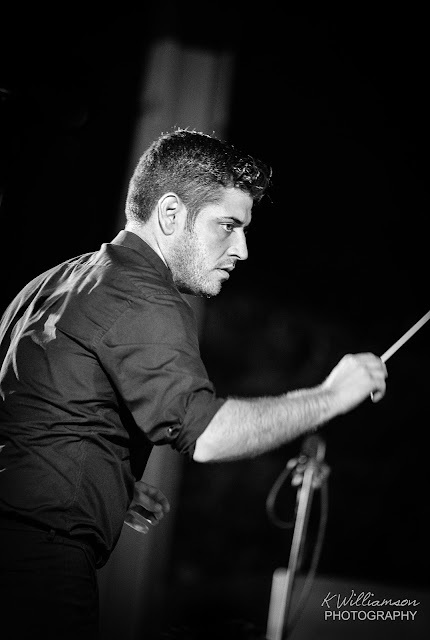 The group is formed by 5 experienced musicians, some of whom were members of Ana Torroja's band, Lluís Llach or Antonio Orozco among others. At the end of the performance - a disco. 19:30H Prepare for the festive atmosphere of the multicoloured parade. 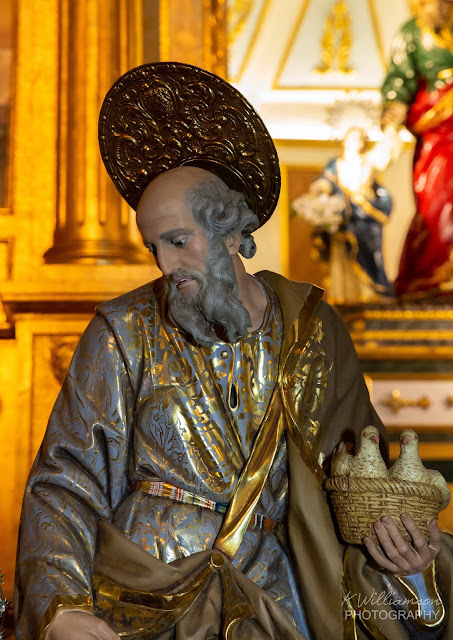 20:30h GREAT MULTICOLOUR PARADE, of comparsas accompanied by the children's court, the juvenile court and the 3rd age king and queen. A parade to welcome in our big day, with music by the Musical Union Society of Bigastro. Neighbours, visitors and the local governement team will parade the streets of the municipality, filling them with joy as they announce that the day of our Patron Saint, San Joaquin, has finally arrived. 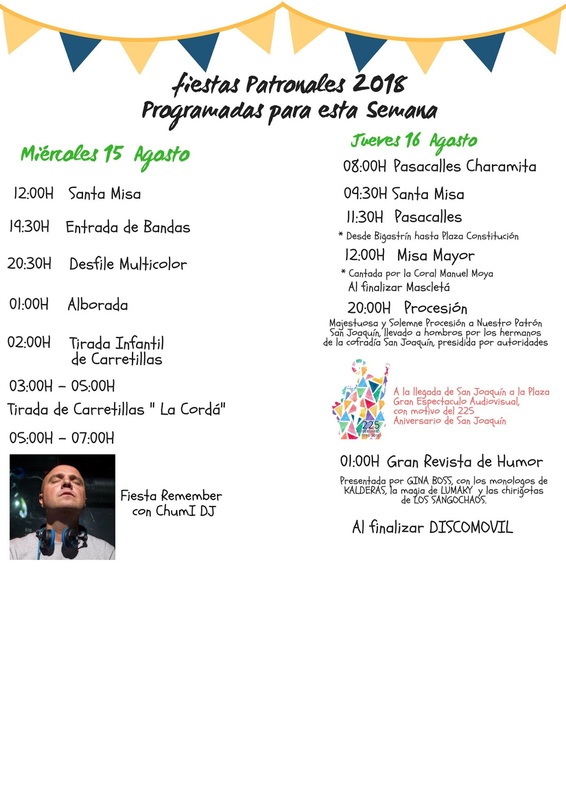 At the end there will be a fireworks display and in the Huerta del Cura Park, another disco. 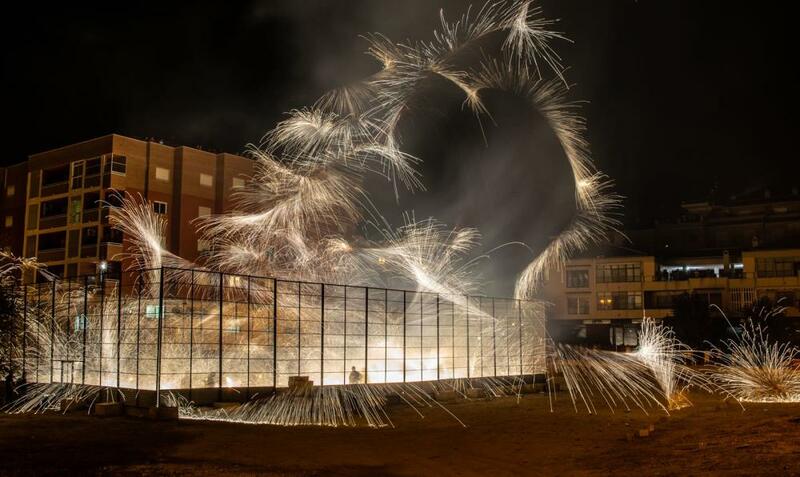 02:00h Children's fireworks in the cage on Acequia Street. 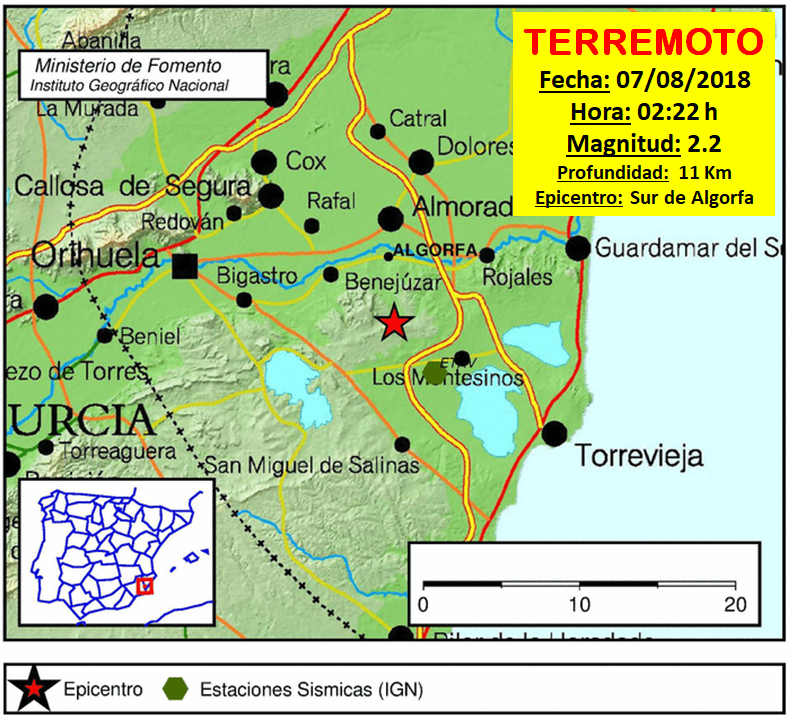 03:00 To 05:00h, More fireworks (La Cordá) in the cage on Acequia Street, with the participation of the Association of Carretilleros de Bigastro. If you are going to this event, wear sensible clothing and stand well back. 05:00 to 07: 00h Party Remember with DJ Chumy. 08:00h Parade of the Charamita announcing the Big Day of Bigastro. 11:30h Parade by the Musical Union Society of Bigastro, from Bigastrín to Our Lady of Bethlehem Church, accompanied by the Courts of 2018 and the local authorities. 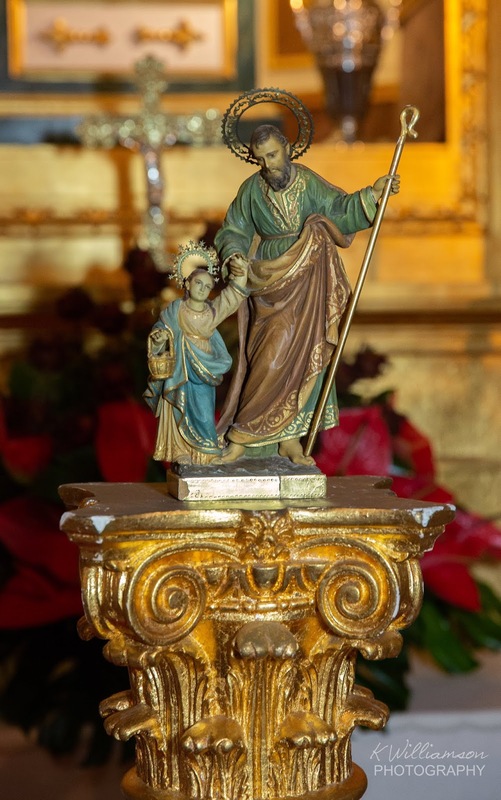 12:00h Holy Mass to honour San Joaquin with songs by the Manuel Moya Choir At the end of the Mass there will be a Great Mascletá (very loud fireworks set to a rythm of sound). 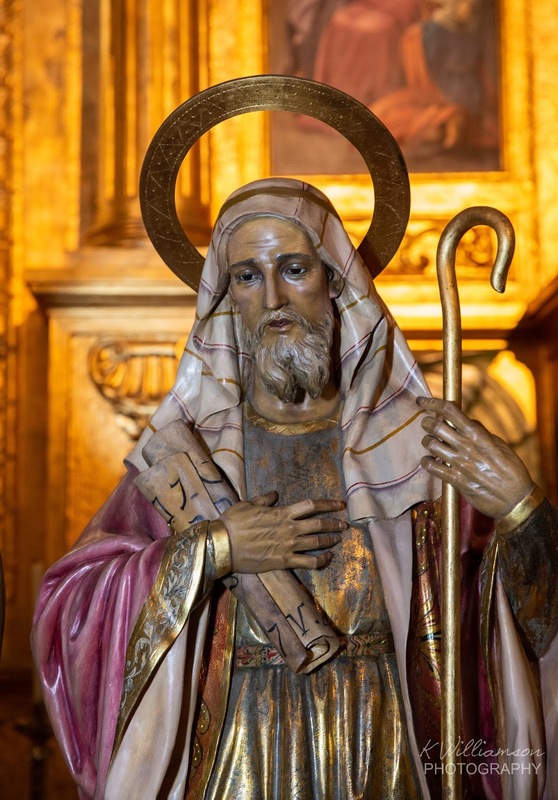 20:00h Majestic and Solemn Procession of our Patron San Joaquín, carried on the shoulders of the members of the San Joaquín brotherhood, presided over by the local authorities. 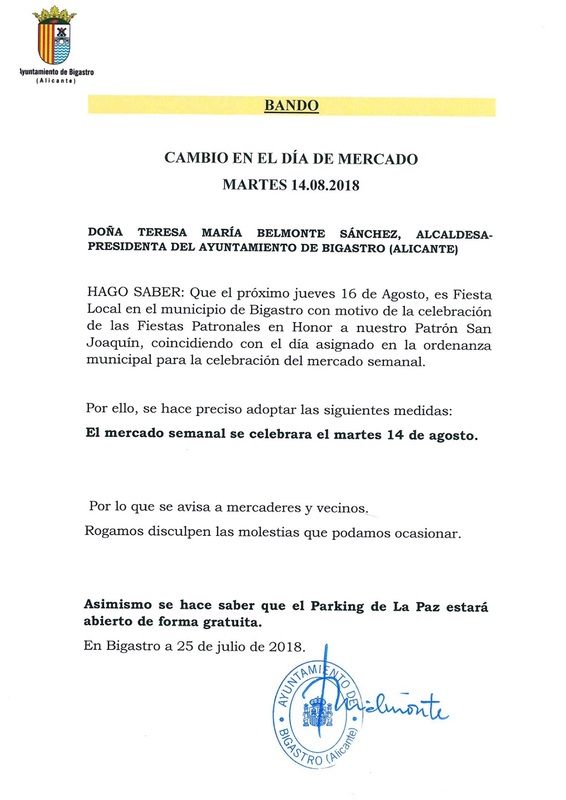 Following the entrance of San Joaquín to the church, there will be a GRAN CASTILLO DE FUEGOS ARTIFICIALES (Firework Display), provided by Pirotecnia Ferrández de Redovan. 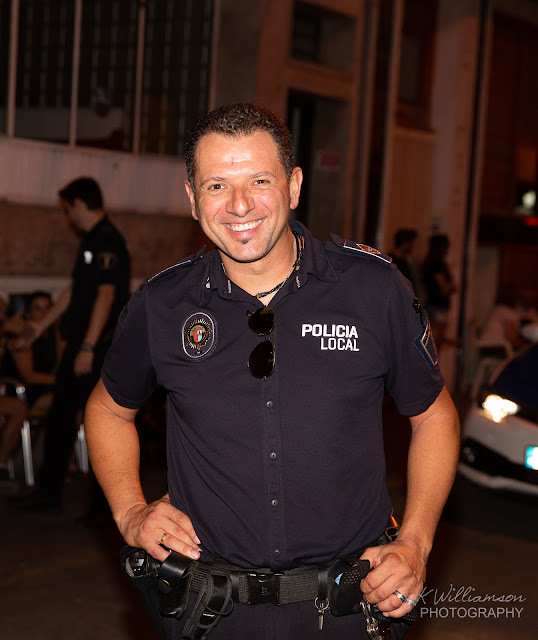 Kalderas Cómico, presenter, scriptwriter and actor, with more than 130 performances per year in different halls and theatres nationwide with his solo show "#bienvenidosAMisTontunas". The magic of Lumaky Artist with more than 10 years on the stage. Humour, surprises, emotion and other sensations that take us to a world of magic and illusion, and finally, The Sangochaos, a chirigota formed by young Torrevejenses in 2008. And at the end - the final Discomovil, until everyone drops! LA MURGA will tour the town in the afternoon. With this show, you can expect sharp satire aimed at both the town and Spain in general. The forecast shows that we are in for a change in the weather. From very hot, we are moving to still hot but sticky as the humidity is due to rise to almost 90%. Most significant to us and Bigastro is the chance of showers at the weekend. On Friday it is rated at 65% and then on Satuday (the day of the coronation) 85%. Residents at Villas Andrea will likely recall that Barry had a holiday home here until recently. Some of you even played golf with him. The budget for Bigastro this year has now been set as follows; income = €4,658,522 and expenses = €4,408,522 giving a surplus of € 250,000.00 that will be used to reduce the municipal debt. The good news for us is that a budget line has been created to improve the electricity network in the area of La Pedrera. If you think it is hot here in Bigastro, just look at those temperatures for the middle of the country. 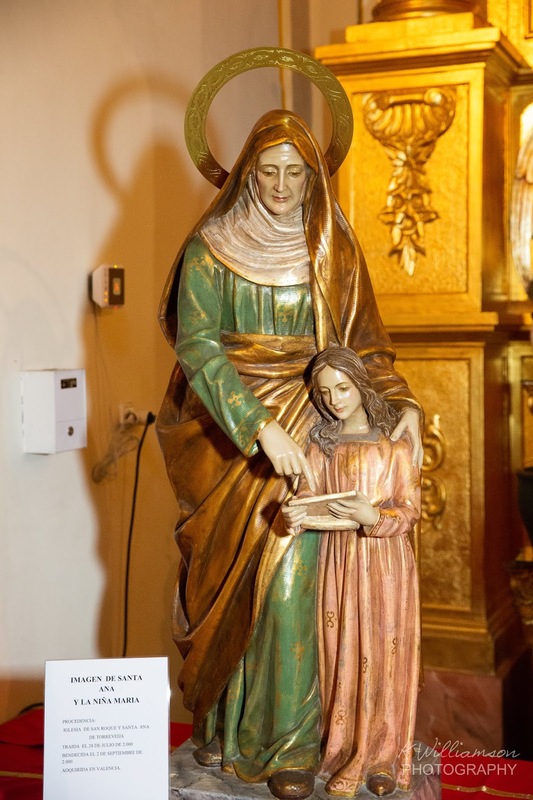 Perhaps not the best time to book a trip to Cordoba! There used to be a Cine de Verano on Calle Purisima. This one is in the new park at the top of the town.